Today, January 11th, we honor Blessed William Carter. If you’re anything like me, Heaven Forbid, you will not really know about him. Sure his name may sound kind of familiar, but how many people did we read about in History Class that were tortured and cut up into many little pieces for going against Queen Elizabeth? Too many, right? 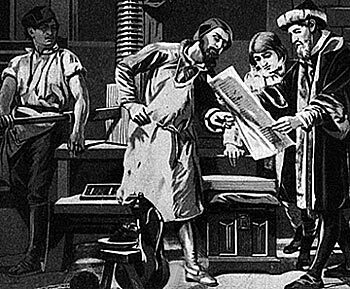 Born in London, William Carter entered the printing business at an early age. For many years he served as apprentice to well-known Catholic printers, one of whom served a prison sentence for persisting in the Catholic faith. William himself served time in prison following his arrest for “printing lewd [i.e., Catholic] pamphlets” as well as possessing books upholding Catholicism.But even more, he offended public officials by publishing works that aimed to keep Catholics firm in their faith. Officials who searched his house found various vestments and suspect books, and even managed to extract information from William’s distraught wife. Over the next 18 months William remained in prison, suffering torture and learning of his wife’s death. He was eventually charged with printing and publishing the Treatise of Schisme, which allegedly incited violence by Catholics and which was said to have been written by a traitor and addressed to traitors. While William calmly placed his trust in God, the jury met for only 15 minutes before reaching a verdict of “guilty.” William, who made his final confession to a priest who was being tried alongside him, was hanged, drawn and quartered the following day: January 11, 1584. He was beatified in 1987. It didn’t pay to be Catholic in Elizabeth I’s realm. In an age when religious diversity did not yet seem possible, it was high treason, and practicing the faith was dangerous. William gave his life for his efforts to encourage his brothers and sisters to keep up the struggle. These days, our brothers and sisters also need encouragement—not because their lives are at risk, but because many other factors besiege their faith. They look to us. What a huge Responsibility. Burden even. For the record, I am in NO WAY trying to even begin to compare what I do to what Blessed William Carter did. Not even close. Thanks to him and many others like him, I have the Freedom to express myself about what I want, when I want, and how I want. It may not always be pretty, make sense, or please you, but I can write. And I can only Hope and Pray that these words, these characters, may sometimes, in some way encourage you, give you strength to be Weird. To be a follower of Christ. Many, many people’s lives ARE at risk. And many other’s lives have been LOST due to Faith, due to their Choosing to Believe and Follow Christ’s teachings. Yesterday I posted an article about the Coptic Christian Community in Egypt. That is the Positive that has come out of all the negative, all the Attacks on Catholics worldwide. Christmas and the New Year were marked by two bloody and ominous attacks on Christian worshippers in Iraq and Egypt. On December 30th, in Baghdad, at least two Christians were killed and nine wounded in a string of six attacks on Christian homes. The areas targeted were predominantly Christian areas, and the homes attacked were specifically Christian homes. 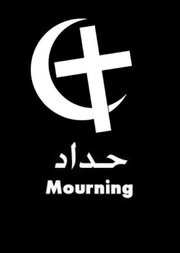 And, on new Year’s Eve, an even more lethal attack resulted in the massacre of over 20 Egyptian Coptic Christians in the ancient city of Alexandria. The old year ended and the new one opened with bloodshed that tragically points to attempts to systematically annihilate the ancient churches of the Middle East. The word “genocide” – not one which should ever be used lightly or for rhetorical effect – is the correct terminology when a campaign sets out to annihilate an ethnic, religious, racial or national group. Consider that definition when assessing first the appalling situation in Iraq – brought home to us by the 31st October attack against the Syrian Catholic Cathedral in Baghdad in which 58 were killed. At the time of the October attacks in Baghdad the perpetrators also threatened violence against Egypt’s Coptic Christian communities – a threat which came to pass on New Year’s Eve. They have vowed to eradicate Christian believers in the region. The international community may not yet be willing to recognise these events as part of a genocidal campaign but unless they wake up to the nature of these atrocities it will only be a matter of time before the definitions catch up with the realities. No doubt hand wringing “statesmen” will then claim they had no idea how bad the situation had become. ~ David Alton. Assyrian International News Agency. How Blessed are we that the vast majority of us do not have to risk our lives to profess our Faith? Here’s the funny thing though, we don’t. We do not Profess our Faith. We do not live out our Faith. We, it is much more accurate to state, are ASHAMED of our Faith! To Profess it at least. To show others that there really and truly is Something More to us than what the world would have us believe. How many of us are Cradle Catholics? Holiday Catholics? Catholics by name alone? Pick and Choose Catholics? Liberal Catholics? Or my favorite, because it was my title for a number of years, Agnostic Catholics? I am not trying to Preach to you, though it may be coming across that way. I am simply pointing out how good we have it. How EASY we have it. And how we DON’T have it. Being singled out? 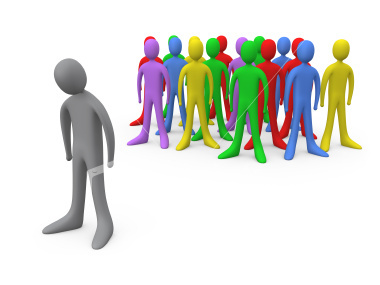 Being shunned by our peers? Being pointed and laughed at? Being called Religious Freaks, Bible Thumpers, Zealots or simply Weird? Believe me, I know firsthand how difficult it is to stand your ground and be the ONLY ONE. It happens to be TRUE! But I say this to you: offer no resistance to the wicked. On the contrary, if anyone hits you on the right cheek, offer him the other as well. Matthew follows this passage with many, many examples of how we are to be. To Love our Enemies and Pray for those that persecute us(5:44). He goes on to tell us how if we are rewarded here in this world, then that’s it. We have been rewarded. But, if we do things so that the All-Knowing, All-Powerful, Loving God only knows, that we do His will, even if we suffer here, even if we get no credit here, we WILL be rewarded. Not here…THERE! There, with our Father in Heaven. ‘Do not suppose that I have come to bring peace to the earth: it is not peace I have come to bring, but a sword. For I have come to set son against father, daughter against mother, daughter-in-law against mother-in-law; person’s enemies will be the members of his own household. ‘No one who prefers father or mother to me is worthy of me. No one who prefers son or daughter to me is worthy of me. Anyone who does not take his cross and follow in my footsteps is not worthy of me. Anyone who finds his life will lose it; anyone who loses his life for my sake will find it. Now, does this sound like a Christ that wants us to not cause any conflict? Does this sound like Jesus is telling us to just take everything that is shot at us? Does it sound like He’s telling us to just stay quiet about our Faith, to not impose it on anyone, to be PC and not cause any type of ruckus? To Put Up and Shut Up? He’s guaranteeing trouble. In Matthew 10 He straight out tells them, “Look, I am sending you out like sheep among wolves” (16). He told them that they would be Hated (Matthew 10:22)! He tells them how difficult, I know, a HUGE understatement, it will be, and they went anyway! Because…He reiterated that their reward comes later. He tells them that they will be saved (Matthew 10:22), that He will declare Himself for them in the presence of Our Father in Heaven (Matthew 10:32). What more do we want then? We are spoiled rotten. Plain and Simple. We have not had to fight for our Faith. It has been handed to us on a Silver Platter. It has come too easy. The result, no Conviction. Boy, I think I really went off here, didn’t I? I guess it’s because I know how Good and Easy we have it. We have forgotten that this World belongs to him…to the evil one. ‘Do not be afraid of those who kill the body but cannot kill the soul; fear him rather who can destroy both body and soul in hell. 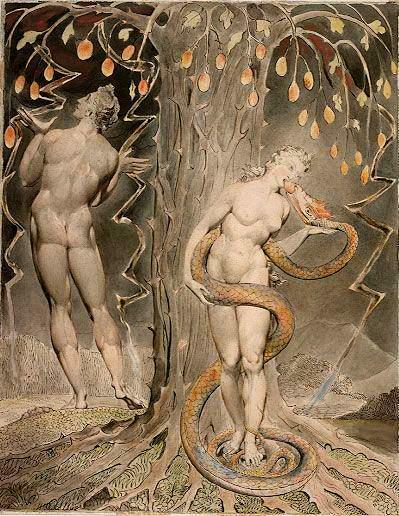 William Blake's Illustration to Milton's "Paradise Lost" Titled "The Temptation and Fall of Eve"
We have made it way too easy for him. How about we TRY and give him a hard time? Let’s be like Blessed William and spew lewd, i.e. CATHOLIC, News, Praise, Worship, Kindness, Witness, Encouragement to those around us. We ARE being besieged. By this world that wants to destroy both our bodies and souls, via Media, Society, our Peers even. Don’t be afraid to stand up and be a Christian, a Catholic Christian. Cafeteria Catholic… you know, a little of this, a little of that. So much easier to be that so you can agree with those who would dissent and be “agreeable”…. Its like when we were teens and we’d do anything our friends suggested, just to keep them as our friends only realizing too late that if they were our friends they wouldn’t drop us for not doing something. I wonder if we will ever grow up.